Raw Papaya or Kaccha Papita is a very healthy and nutritious ingredient for every dish whether it’s main course such as sabzi or stuffed parathas or side dish such as salad, chutney or snacks. Even you can prepare the desserts also such as kheer, halwa or barfi. It has a subtle but unique flavor. Today I share raw papaya or kacche papite ke paratha recipe. Taste and texture of this paratha is look like radish paratha. To make this paratha more flavorful, you can add grated ginger, coriander, green chilies. You can serve this paratha with chutney, pickle, curd or regular sabzi. Peel and wash the papaya, cut into slices and take out the seeds, peel off the skin and wash it again. Grate the papaya pieces in a bowl. Gently mix the grated papaya, green chilies, coriander and spices together. Combine flour, salt and carom seeds together and knead dough in a simple way like chapati. Divide the dough into equal portions and roll each portion. Stuff the papaya stuffing in dough and fold the edges tightly. Roll out the paratha into a flat disc using rolling pin and flour. Heat the tawa and place the paratha on hot tawa. Cook the paratha on medium flame. Grease with ghee or oil and roast it from both sides till to brown and crisp. Prepare more parathas in the same way. Serve hot papaya paratha with curd and butter. This paratha is very healthy and made with raw papaya stuffing and served with curd and pickle. Peel and wash the papaya, cut into slices and take out the seeds, peel off the skin and wash it again. Grate the papaya pieces in a bowl. Gently mix the grated papaya, green chilies, coriander and spices together. Combine flour, salt and carom seeds together and knead dough in a simple way like chapati. Stuff the papaya stuffing in dough and fold the edges tightly. Heat the tawa and place the paratha on hot tawa. Cook the paratha on medium flame. Grease with ghee or oil and roast it from both sides till to brown and crisp. Prepare more parathas in the same way. Serve hot papaya paratha with curd and butter. This looks like a mouthwatering paratha. I bet this one tastes even better than radish paratha. Thats an interesting stuffing, never thought of making stuffing with raw papaya, absolutely delicious. Now am tempted to make this parathas soon. Wow! 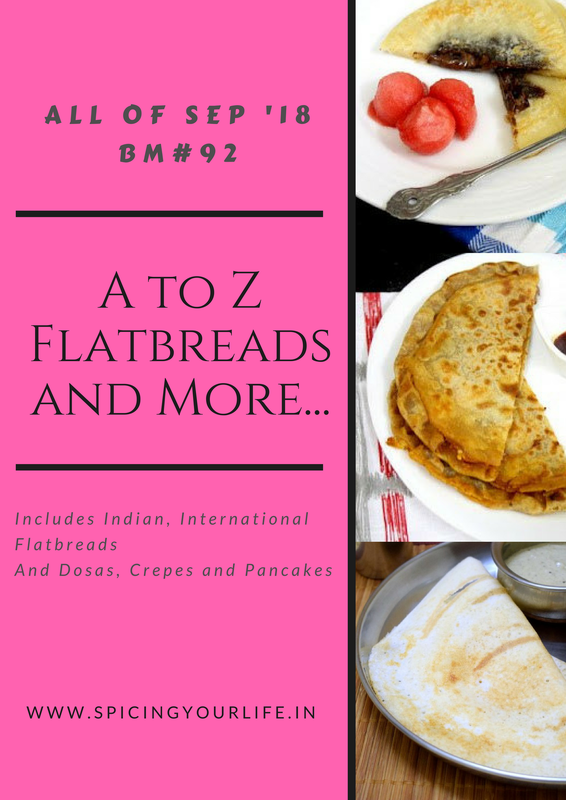 I have never heard of papitha paratha…it looks so delicious and inviting. Such a unique pick!! I have used raw papaya in curries but never tried it as a stuffing for parathas. These parathas look absolutely yum and the snaps are amazing as always. A good way to add the healthy raw papaya to a the flatbread. Never tried it but will do so. This is an interesting one to stuff. I have only made sabzi with raw papaya…parathas sound fantastic. Never thought of using raw papaya as a stuffing! We have a regular supply of raw papaya in the farmers market here and I never buy it! Now I will buy one just to try out this recipe!Good one Preeti. Love this paratha. My mom used to make such parathas. I have never tried. great recipe. This is an interesting paratha. Papaya is one fruit that I have not used a lot. This is a good recipe to try.